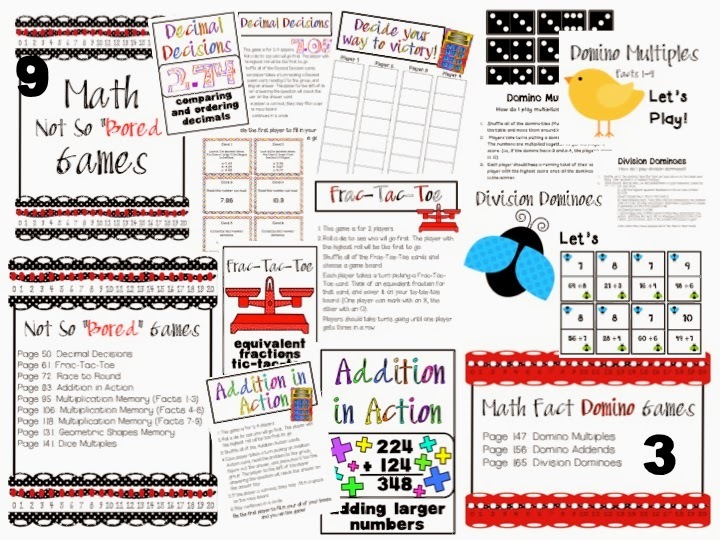 I don't know about you, but I'm always looking for things to put in my math centers. My kiddos tend to finish their work at varying speeds. Also, sometimes I have students who need more help and guidance than others. This leaves me with some students who are bored, and others who need more direct instruction.What's a teacher to do? I decided to make some games for my students to do. And when you're creating, why not make it TpT worthy? At least that's my motto. 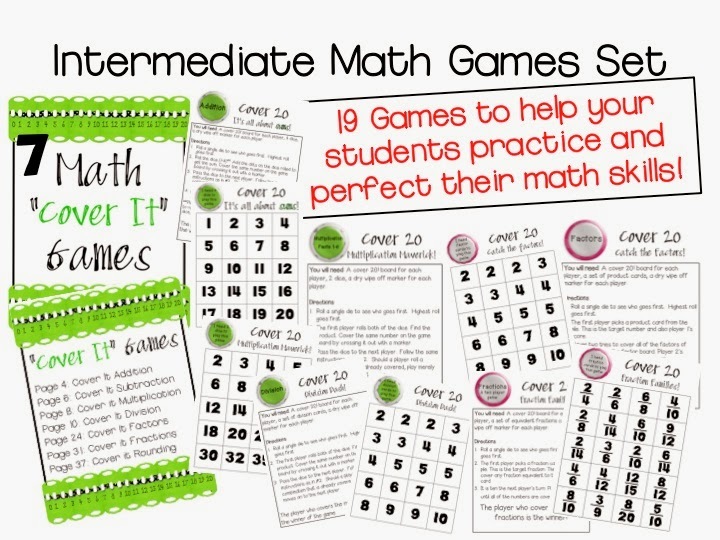 So, I put together a set of 19 games to help review and practice intermediate math skills. If you click on the first picture you will not only see a preview of the set, but also one of the game included for FREE!! Like what you see? Here's the link to my TpT store: CLICK ME! !